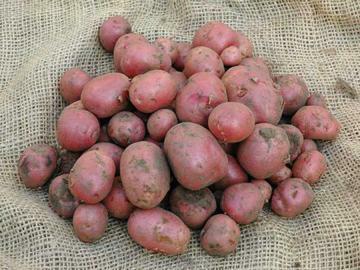 First Early variety, producing uniform, small rounded, red-skinned tubers with white flesh and of excellent flavour. Compact habit and noticeably smaller top-growth than most. Rather light cropping, but worthwhile as an early, tasty "new" potato. Culinary vegetable. Good for boiling and as a salad potato.